(Newser) – If you thought the $1.3 billion in art discovered in 2012 in Cornelius Gurlitt's Munich apartment was impressive, this week's find may top it. Among the 60 or so artworks found in the Austrian home of Gurlitt—son of Nazi-approved art dealer Hildebrand Gurlitt—are pieces from Monet, Renoir, Manet, and others, "of more significance" than the first trove, Gurlitt's lawyer tells the BBC. "They are very prominent works" that include "a wonderful Seine scene by Pissarro, a wonderful bridge picture by Monet, and a sailing boat sea scape by Manet," Hannes Hartung says. 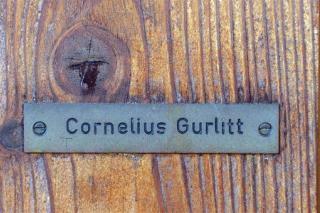 "Nazi approved Art Dealer" is enough for me to want to have all the holdings of Gurlitt's published. If they weren't looted why be so secretive about them for 70 years? This guy is so suspicious he stinks to high heaven. As if some of the art wasnt stolen by the Jews too.